The 21st Century Senior Living Community is a series brought to you by CDW, a provider of technology solutions and services focused exclusively on serving the healthcare marketplace. 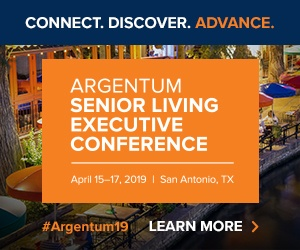 The series takes a clear-eyed look at how leading providers and their partners are creating the next generation of senior living communities by raising the bar on services, design and technology. Debate remains about the terminology, but one thing is certain: telehealth and telemedicine are becoming cornerstones of health care delivery and stand to significantly improve senior care. A 2016 survey from the National Business Group on Health found that by 2018, 96% of health systems will be using some form of telehealth in their health care delivery. The term “telehealth” is a broad and often misunderstood one, and does not exactly inspire enthusiasm. Yet its sweeping qualities make it an easy concept to understand: it is the use of digital or electronic technologies in the delivery of health services. This can mean anything from teleconference doctor appointments to wearing fitness bands, like a Fitbit, that monitor personal behavior to build a health-related dataset. It’s not surprising, then, that perhaps more than any other demographic, seniors could see the most upside from telehealth’s three key benefits: access, personalization, and quality. While there is still some debate surrounding the nuance in terminology, there is general agreement about the value of the technology and the degree to which it will continue to grow, particularly in senior care. The statistics tell the tale. Vadia’s Access Physicians telemedicine program — an acute care program in partnership with Louisville-based post-acute giant Kindred Healthcare (NYSE: KND) — projects more than 600,000 patients served in 2017, leading to an operational savings of $2.64 million and a 17% reduction in mortality rate. He wants to see more outcomes-based data, which will help sell the broader implementation. While Vadia is encouraged by the program’s ability to deliver “elite care,” he noted that program longevity depends not just on finding clinical wins, but financial ones. This is critical because, as the panelists agreed, one of the largest barriers to widespread implementation is cost. “What I think success looks like [in telehealth] is policy changes, and having CMS and payers really put some cash behind us, because money makes things move,” said Davis Park, director of Front Porch Center for Innovation & Wellbeing. The center is affiliated with Front Porch, which offers a variety of senior living options, including continuing care retirement communities (CCRC). To expand upon the results Vadia has seen, Park noted that health care systems must be incentivized to support telemedicine delivery via new payment models. Medicare has reimbursed for telehealth services since 1997, though conditions for reimbursement vary. Information is available at Center for Connected Health Policy, and individual addresses and ZIP codes required for reimbursement can be searched at www.datawarehouse.hrsa.gov. For those wanting to launch their own telehealth programs, Park recommends talking to leadership in their organizations, and partnering with organizations in the community already using telehealth initiatives. Front Porch has used grant funding to develop telehealth initiatives in some senior housing settings, focusing on telemedicine and teledentistry. Perhaps part of the insecurity is the use of language. It’s not just the confusion over the terms, with many not realizing that “telemedicine” is a subset of “telehealth.” The problem is also in the use of “tele.” Vadia wants to normalize telemedicine by driving out the prefix, so that patients, families, and doctors view it just as “medicine” — just another piece of the total medical offering. Another panelist, Dr. David Lindeman, director of CITRIS Health, offered straightforward advice. Lindeman’s experience with telehealth through CITRIS has been eye-opening. CITRIS stands for the Center for Information Technology Research in the Interest of Society, and works to bring together laboratory research at various University of California campuses with public and private institutions and investors to facilitate the development of new technologies. But nothing sells like a personal experience. Lindeman uses telehealth as a patient member of Kaiser Permanente, and saves time by rarely going in for appointments, instead communicating via email.